The fate of Middle Earth now rests in the hands of Thorin and his band of 13 dwarves whom he must lead to the Lonely Mountain, in an attempt to take back their land from the villainous dragon, Smaug (Cumberbach), who after rampaging the dwarvesa�� homeland is now guarding the Arkenstone (Kinga��s Jewel). But they need the services of a burglar to sneak into the mountain. Luckily, Gandalf (Ian McKellen) claims he has the perfect candidate, a hobbit named Bilbo Baggins (Freeman). Can Bilbo prove Gandalf true, and retrieve the jewel? The song I See Fire by Ed Sheeran was originally written for The Hunger Games: Catching Fire, but it was rejected and then approved for this movie. Once known for playing the infamous character of Birdman in a superhero movie of the same name, actor Riggan Thomas (Keaton) is now attempting to make his Broadway debut with his adaptation of Raymond Carvera��s story, What We Talk About When We Talk About Love. Together with his friend Jake (Zach Galifianakis), Thomas runs into many production issues, like finding a replacement for the supporting male role. But his biggest problem lies within himselfa��in the form of a self-manifested voice of Birdman that constantly mocks him. 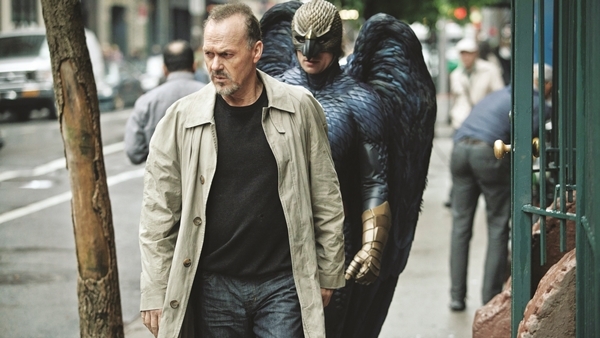 This is the first movie to win the Oscar for Best Picture, to have been shot entirely in digital.